In addition to an important religious holiday for Christians across the world, Easter is full of fun traditions for families. From visiting the Easter bunny, egg hunts, and frilly pastel outfits, Easter is a beloved holiday for so many families in the Pittsburgh area. One of the greatest traditions of the holiday comes in the form of the Easter basket, jam-packed with candy, knick-knacks, and tiny trinkets you are sure to love. At Lisa Marie Kotchey Designs, we know how much these traditions mean to you and your family, which is why we’ve created a list of five fun Pittsburgh Easter basket must-haves - from tickets to fun events to custom jewelry in Pittsburgh - to help fill a basket for everyone with love. Whether you’re building a basket for your kids, a coworker, or a close friend, we’re sure these five basket treats will lead to one happy Easter. While Easter baskets are easy to fill with fun knick-knacks and snacks, it’s important for many people to remember the religious roots for why they celebrate the holiday. The perfect unique item to include in an Easter basket is a custom piece of jewelry from Lisa Marie Kotchey Designs. 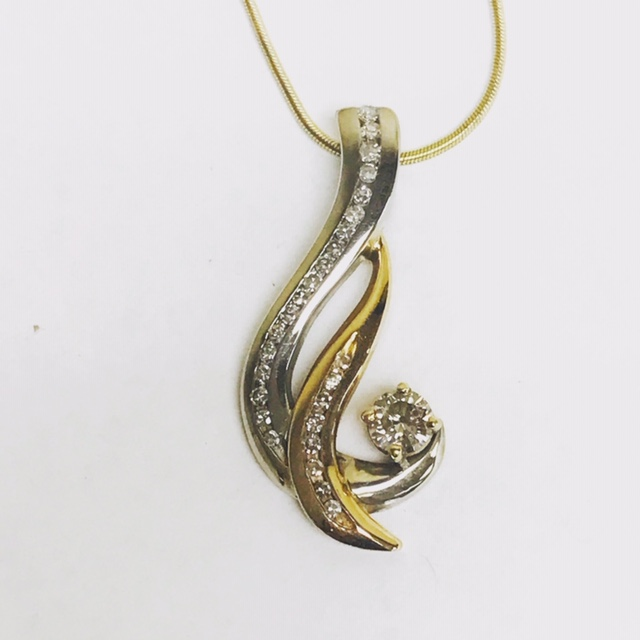 Whether you want to create a beautiful cross necklace or stunning pendant of your choice, Lisa Marie Kotchey Designs is the trusted name in custom jewelry in Pittsburgh. Lisa will work with you to help your dream become a reality, guiding you through metal choices, shape, size, and pricing that works for you. Pack this long-lasting, beautiful piece of jewelry into a basket for a loved one to create a timeless piece of jewelry that will be handed down through generations. There’s something ever Pittsburgher has in common; we love our city. From impressive universities, beautiful views, great food, to championship sports teams, we take pride in everything our city has to offer. With so much love for our city, what could be better than receiving tickets to a game for Easter? Whether you’re thinking about a pair of Penguins tickets for a playoff game or tickets for an evening at PNC Park, tickets to a game are the Easter basket treat that everyone will love. For most games, Pirates tickets can be purchased for just about $20, making for an affordable night out in Pittsburgh at the ball game. Choose games like Free T-Shirt Fridays, dollar dog days, or games with giveaways for kids to make the ball game extra special. 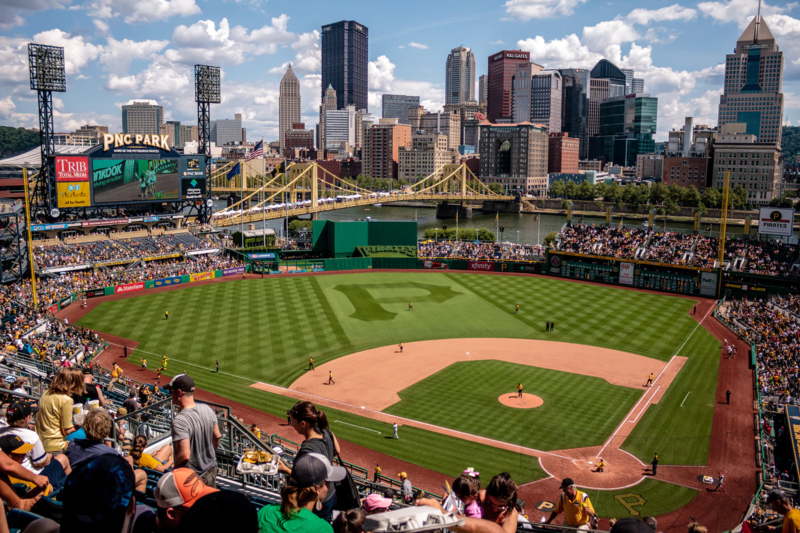 Win or lose, each game promises fun memories with loves ones and a stunning view of downtown Pittsburgh, making tickets to a Pirates game an Easter basket treat that everyone will love. What’s an Easter basket without a little bit of candy? Pittsburgh is jam-packed with plenty of candy shops and bakeries that create classic treats for every holiday. One of the most famous candy resources in the Pittsburgh area is Sarris Candies - a family-owned candy company founded in 1963. Sarris Candies creates everything from peanut butter eggs to chocolate bunnies and jellybeans, bringing delectable hand-crafted candies to families all across the Pittsburgh area. 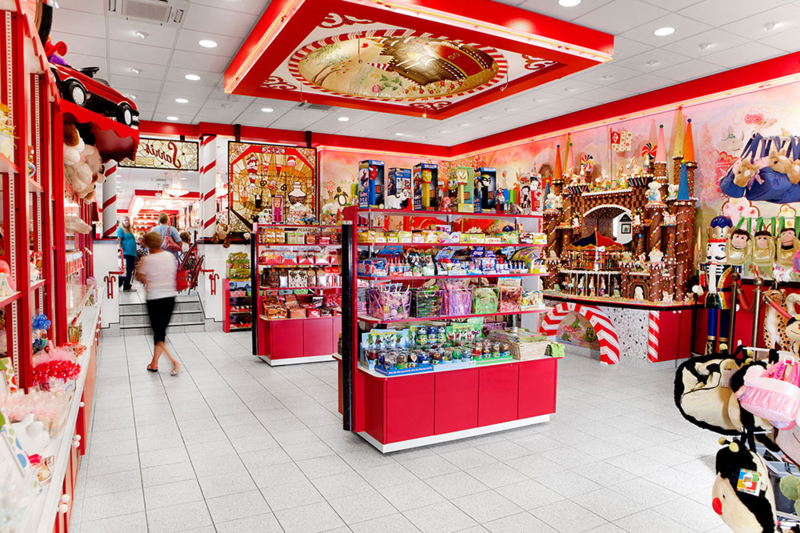 Find all your Easter candy needs at the Sarris Candies store connected to the factory in Canonsburg where sweet chocolatey aromas fill the air. When creating the perfect Easter basket, delicious candies from Sarris Candies are an absolute must. There’s nothing comparable to the pride that Pittsburghers have in their city. Because of this, it comes as no surprise that every Yinzer loves gear from Steel City: Pittsburgh’s favorite homegrown clothing store. Steel City creates iconic t-shirts for all our hometown favorite teams, icons, and slogans. 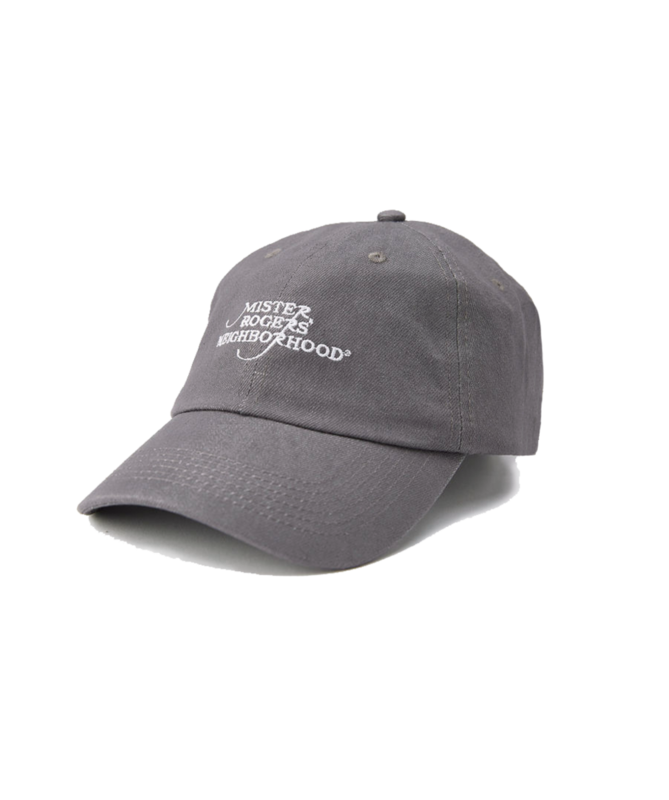 Whether you swear upon the wisdom of Pittsburgh Dad or take pride in living in Mr. Rogers neighborhood, Steel City has the perfect items to stuff into an Easter basket for all your loved ones. Their ball caps, t-shirts, accessories, and gifts are the perfect Pittsburgh-themed items that fit nicely in an Easter basket and are sure to bring delight to every Yinzer in your life. Candles are the sweet-smelling gifts that never fail, but sometimes they can feel impersonal. The best way to create the perfect basket for every candle lover in your life is by creating a custom candle at The Candle Lab. 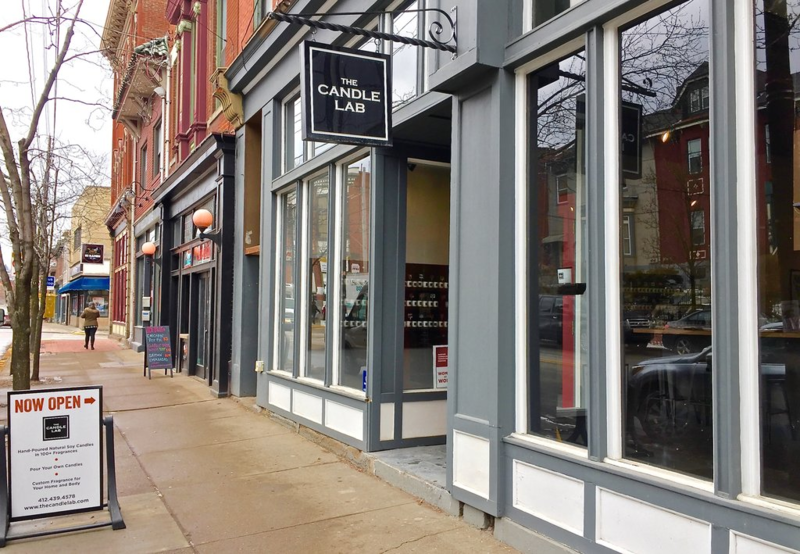 Stop in and build the perfect personalized candle for your Pittsburgh Easter basket using any of the 150 scents that the Candle Lab has to offer. Thinking of doing something a little more personal? Check out the events page on The Candle Lab website where you can purchase tickets for events like Easter Cookies and Candles. Adding tickets to an event for a fun outing is the greatest way to add excitement and a personalized touch to the perfect Easter basket. Make this Easter extra sweet by creating the perfect Pittsburgh Easter Basket for someone special in your life. Add the finishing touch with custom jewelry in Pittsburgh crafted by Lisa Marie Kotchey Designs. We’ll work with you to create the perfect piece of jewelry for this Easter holiday tradition.